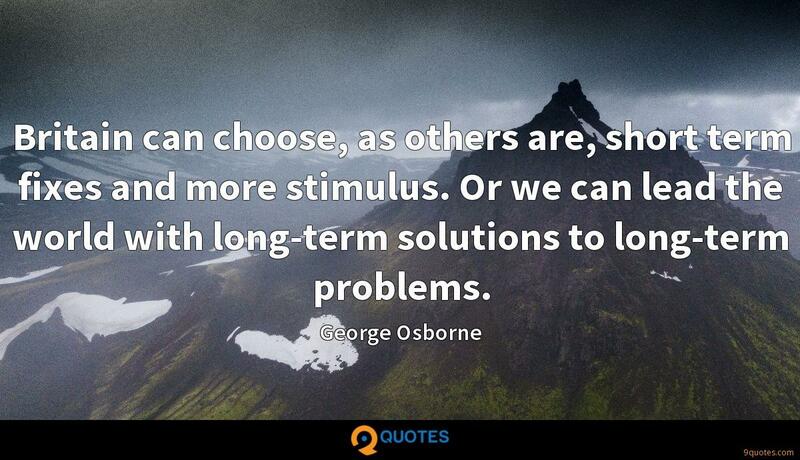 Britain can choose, as others are, short term fixes and more stimulus. 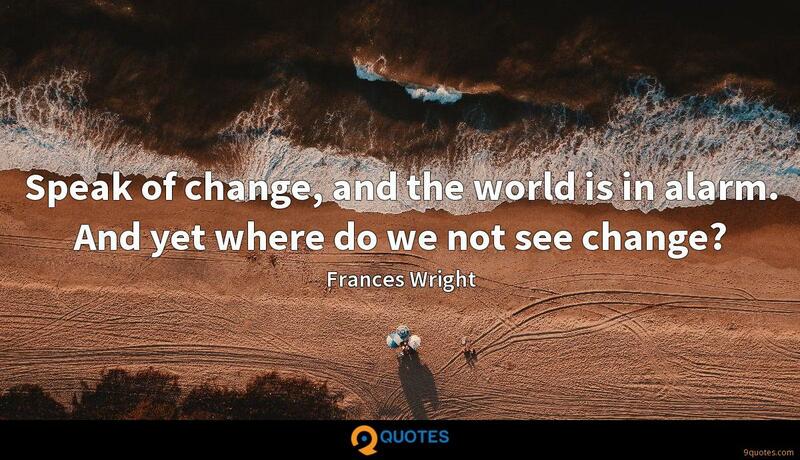 Or we can lead the world with long-term solutions to long-term problems. 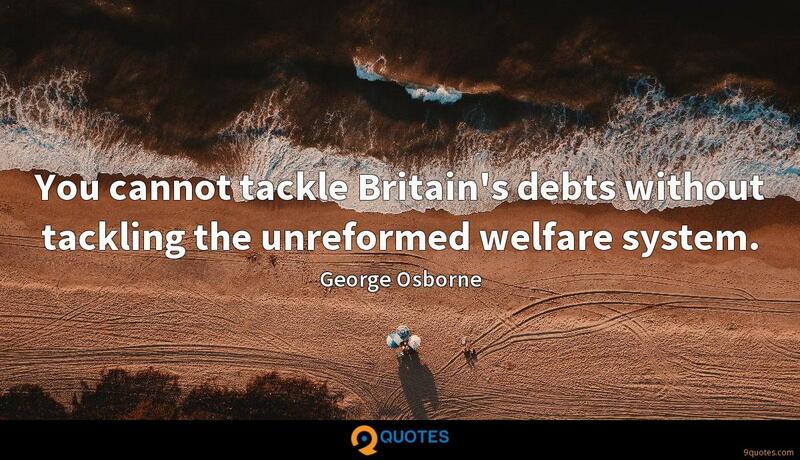 George Osborne Quotes. 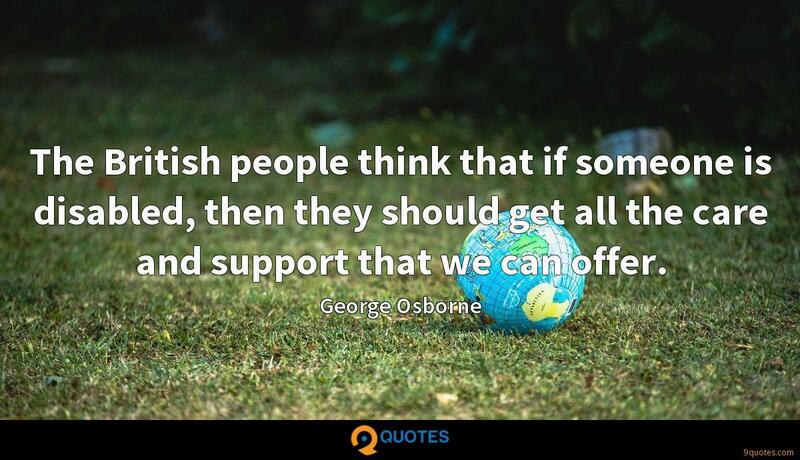 9quotes.com, 2018. http://www.9quotes.com/quote/george-osborne-498115, accessed 24 April, 2019. 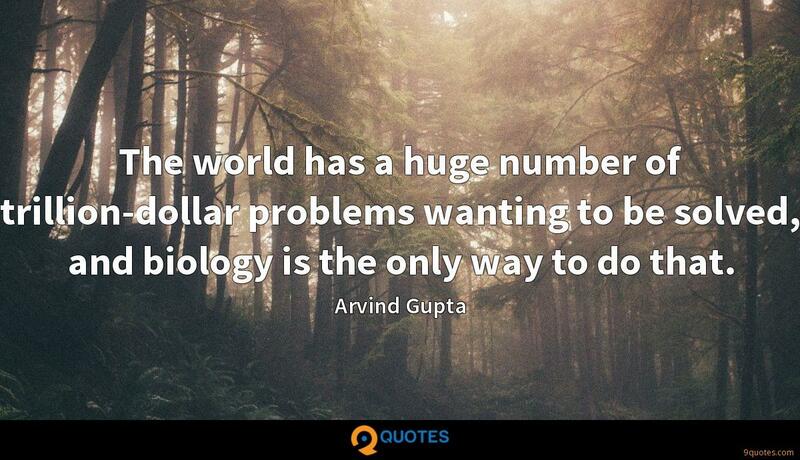 The world has a huge number of trillion-dollar problems wanting to be solved, and biology is the only way to do that. 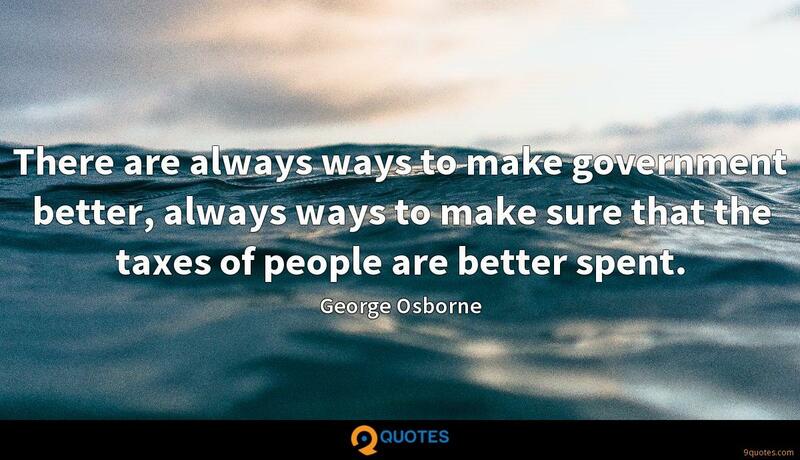 There are always ways to make government better, always ways to make sure that the taxes of people are better spent. 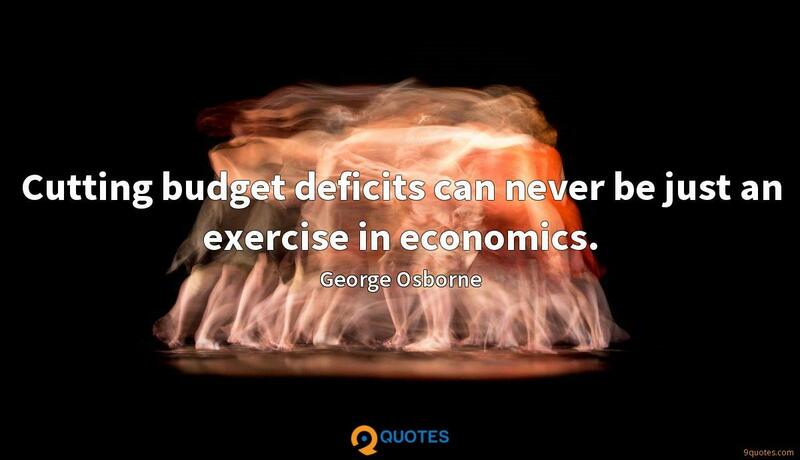 There were some who wanted all the benefits of E.U. 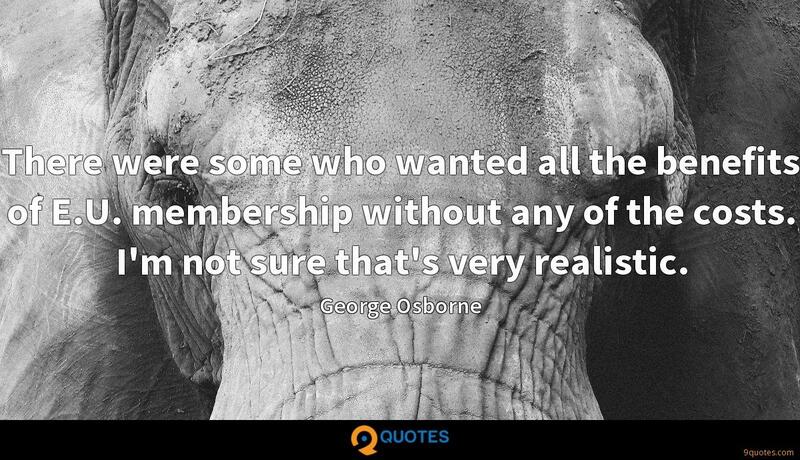 membership without any of the costs. I'm not sure that's very realistic.